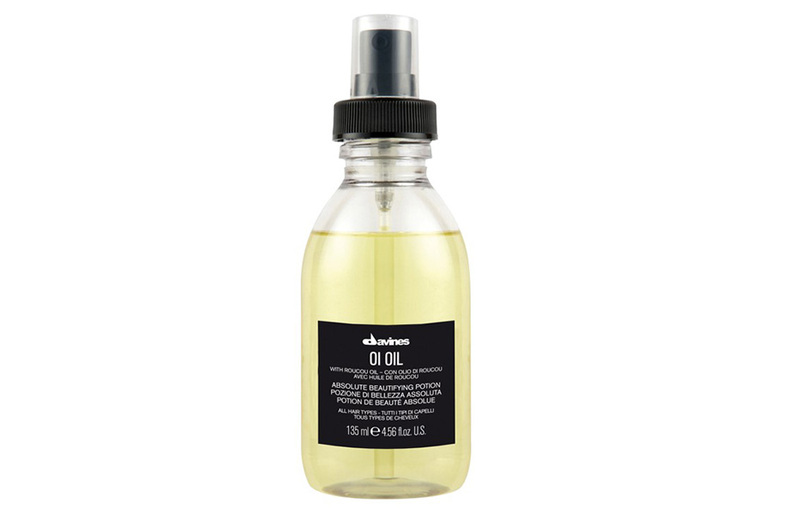 Davines OI Oil hair oil is designed to treat hair deprived of shine and easy affected by static. Despite its small size, the product holds out for long. Definitely, such a treatment will bring the looked-for effects that you have always wanted to get. Davines OI Oil helps hair become smooth and soft to the touch. You can say goodbye to tangled hair since this won’t bother you any longer. Moreover, the cosmetic prevents static and frizz. It facilitates combing and accelerates drying time. The product is able to tame even the most unruly hair. Davines OI Oil also contains antioxidants which reduce free radicals as they counteract premature greying and excessive hair loss. In order to smooth hair and reduce its frizz, apply two or three pumps of the product. Warm up the oil on your palms and then rub it into mid-lengths heading downwards. You can apply an extra dosage to the hair ends. The last step of the treatment is blow-drying hair. If you look for beautifully shining hair, apply a small amount of the product to strands; just two pumps are enough. Don’t forget to give special attention to hair ends. Unfortunately, Davines OI Oil is a product which is hard to find. You won’t rather buy it in a regular beauty supply store. Way easier it’s to order the hair oil via the Internet.